We always welcome your site questions, comments, suggestions, and feedback. We’ve been emailed so many questions about pet birds that we decided to create a Pet Bird FAQs below so you can ask questions and find answers quickly and easily. Below, you will find a list of questions submitted by other visitors as well as a comment form to ask your own. 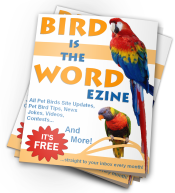 You can also give a helpful answer to any of the Pet Bird FAQs listed. 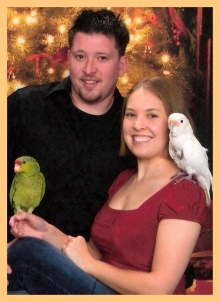 So come on… got a FAQ about your pet bird you want to get answered? This is the place to do it. If you would like to contact us directly with a question, comment, suggestion, or feedback not related to questions about your pet bird, use the form below. Note: We do not sell or breed pet birds, we do not sell products (we only make recommendations), and we are not avian veterinarians. So, please do not contact us for information about purchasing or breeding birds or purchasing products–they will not be answered. If you have questions about your pet bird’s health, please see an avian veterinarian as soon as possible. What bird should I get? Which type of parrot is my pet? What are the biggest differences between Parrotlets and Lovebirds? Is there such thing as too large a cage? Can I leave my bird alone when I go on vacation? Single or Double Pet Birds? How many hours do parrots need to sleep?